A long standing tradition of Japanese culture, Matcha green tea is the highest quality powdered green tea available. Made from the nutrient-rich young leaves picked from the tips of shade-grown Camellia sinensis plants, Matcha is steamed, stemmed, and de-vined before being stone-ground into very fine powder. The powder is then stored away from light and oxygen in order to preserve its brilliant green color and antioxidant properties. 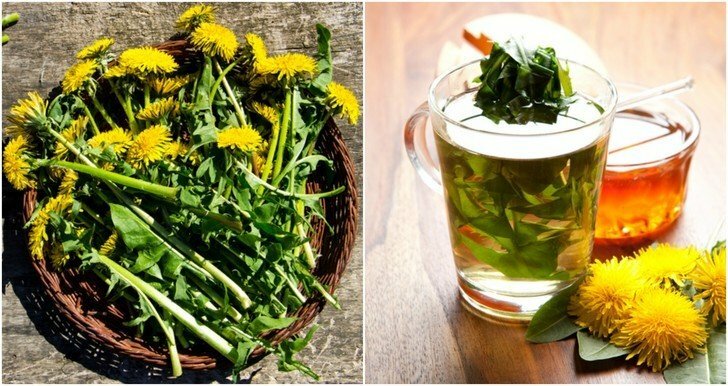 This miracle elixir has been consumed for over a millennium in the Far East, and is now considered to be one of the most powerful super foods on the market today. The traditional way to drink Matcha green tea is in a bowl. To make Matcha in a bowl you will need loose Matcha powder, a medium sized bowl, a bamboo whisk and hot water. Quality really matters when choosing Matcha. This tin of Jade Leaf Organic Matcha Green Tea Powder ticks all of the boxes and is backed up with hundreds of five star reviews on Amazon. Follow the instructions below for a delicious and healthy cup of tea. Step one: Sift 2 teaspoons of Matcha powder into a bowl (this is a really beautiful Matcha bowl) using a small sifter. Step three: Whisk using a bamboo whisk (this one is specifically designed for making Matcha) in a zigzag manner until frothy. If you are making Matcha green tea in a cup follow the following directions. Heat filtered water to just below the boiling point. Add just a few drops of the hot water to the Matcha powder and make a paste. Add a bit more water to taste and stir. Note: You can sweeten Matcha with stevia, brown sugar or raw honey to taste. Matcha does contain caffeine. Because this tea is made by crushing whole tea leaves into a fine powder, the amount of caffeine is higher than if you were to drink bagged tea. In steeped green tea there is about 32 mg of caffeine compared to 68 mg of caffeine in one teaspoon of ceremonial grade (the highest grade) Matcha green tea. Don’t let this high caffeine level scare you. Remember, a moderate amount of caffeine won’t hurt you and has been shown to actually be beneficial in Matcha green tea. This mild stimulant occurs naturally in plants, fruits, beans and nuts. Caffeine in Matcha can actually help boost your metabolism by 40% and regulate your blood sugar. Drinking Matcha whisked in hot water releases caffeine into the body slowly over about 6 to 8 hours. 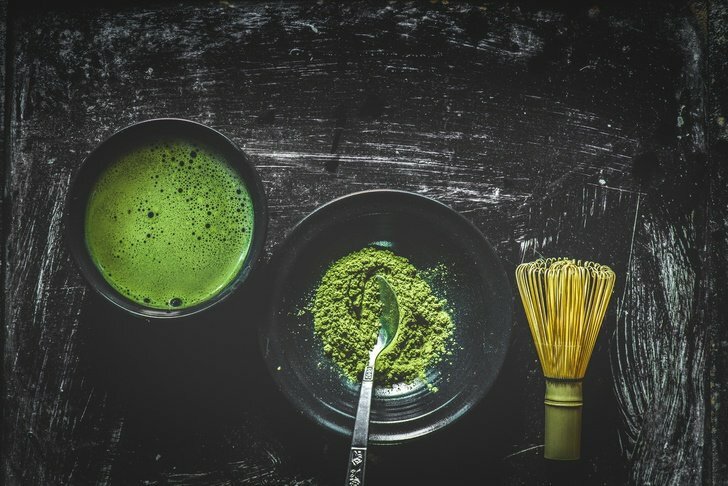 If you switch out your morning cup of coffee for Matcha will have sustained energy and improved focus all day without jitters or a caffeine crash. As already discussed, Matcha green tea is rich in catchins, and more specifically an antioxidant known as EGCg. Matcha green tea contains three times more of this antioxidant than other green teas. Research shows that catechins have a positive impact on body mass index. In one study the way catechins impacted body fat was assessed in 2 groups of healthy Japanese men. After two weeks of healthy eating the men were divided into two groups with similar body mass indexes and waist circumferences. The study lasted 12 weeks and participants drank 1 bottle of green tea containing 690 mg catechins or 1 bottle of green tea containing 22 mg of catechins. After the conclusion of the study it was found that the below things were greatly reduced in the group drinking the tea with the most catechins. Because of this, it is thought that drinking green tea, especially Matcha green tea could help reduce obesity. Drinking something just because it’s healthy can be a lot like swallowing medicine. It’s unpleasant and you dread it (I’m looking at you apple cider vinegar! ), but you feel obligated to do it. After all, it’s good for you… right? Sure, but wouldn’t you rather look forward to improving your overall well-being? Of course you would! There is nothing like a warm cup of Matcha green tea to boost your energy. Did you know that you can make a number of healthy and delicious drinks both hot and cold, using Matcha green tea as the base? These drinks can easily replace your favorite special coffee and tea drinks that contain large amounts of sugar and possibly other unhealthy ingredients. Why not drink something that is not only delicious but also super healthy at the same time? Try these amazing recipes for that special treat you have been looking for. This latte is the perfect combination of superfood meets tropical creamy goodness. Sip this latte while relaxing with your favorite book or a visit with your best friend. Put all ingredients in a blender and blend until frothy. Sprinkle with additional cinnamon. Enjoy this smoothie first thing in the morning for all day energy. Looking for the perfect pick-me-up after a hard workout? This smoothie is loaded with vitamins and minerals to give your body the boost it needs. Put all ingredients into a blender and blend until well mixed. Enjoy immediately. This recipe takes backyard lemonade to a whole new level. What a way to cool off on a warm summer afternoon. Having guests over for a barbecue? Surprise them with this delicious and nutritious cooling beverage with just the right amount of lemon and sweetness to please the whole crowd. Combine the Matcha green tea and the sugar in hot water. When sugar has dissolved, add the lemon juice and cold water. Chill for at least 30 minutes and serve on ice with a slice of lemon on the side. When buying Matcha green tea it’s important to choose a ceremonial grade Matcha as opposed to a culinary grade. Culinary grade is ideal for using Matcha for baking or in food recipes, but ceremonial grade is the best type for drinking. Our recommended brand of Matcha is Jade Leaf Organic Matcha Green Tea Powder. You can see more information and buy it from this page on Amazon.